We've learned that our blood gets filled up with good oxygen in the capillaries by the lungs, and then goes through tubes called the pulmonary veins toward the heart. The oxygen filled blood, sometimes called oxygenated blood, enters the heart at a place called the left atrium. 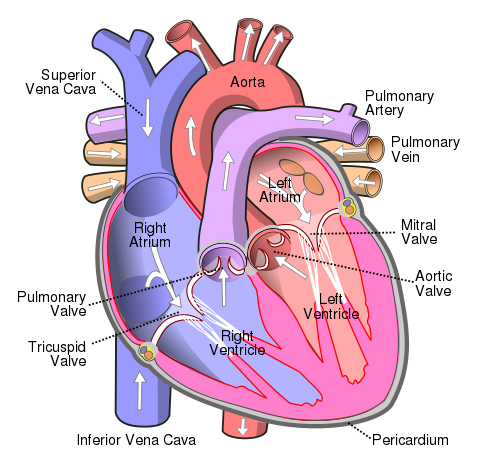 The heart is divided up into four parts, called chambers, and the atrium is one of those chambers.